Whites Dental in Waterloo SE1 provides an Emergency Dentist service to patients in our vicinity. If you need emergency dental treatment, you should see a dentist as quickly as possible. 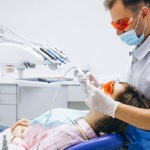 At Whites Dental, we can typically offer a same day emergency appointment for dental emergencies such as toothache, broken crowns, chipped tooth, abscesses, dental trauma and also a swollen face. Our dentists are very experienced – they try very hard to provide exceptional patient care and customer service to every patient. We are located adjacent to Southwark Tube station and are an under 10mins walk from London Bridge, Borough, Southbank and Blackfriars. Please call us or email us for a same day appointment. Our emergency dentist treatments are very ethically priced. That typically results in our prices being very competitive. Dr. Deepa and Dr. Xenia are very experienced dentists, with over 20 years of dental experience between the two of them. Dr. Deepa is our principal dentist. She has 10 years of experience in providing general dentistry to families and office going professionals. Her down to earth, warm and friendly persona helps her to very quickly bond with her patients. Always looking to further her education, she has completed an advanced restorative course. Anxious patients are Deepa’s speciality; she takes a very personal approach, helping put patients as ease – always ensuring the patients comfort and sense of ease are a primary consideration. Tooth ache can occur due to a number of reasons. Pain associated with dental pulp or peri-radicular tissues is called Odontogenic pain. Peri- radicular pain can originate in the pulp, commonly due to disease in the pulp, which extends to the peri-radicular tissues. However, it can also be of periodontal origin (periodontal disease). Acute inflammation of the periodontal ligament surrounding a tooth can also cause pain. This is referred to as apical periodontitis and can often be caused by inflammatory mediators from pulp that is irreversibly inflamed and bacterial toxins from necrotic pulp. In addition, restorations not property contoured some endodontic treatment can also cause this condition. A patient should seek medical assistance to address tooth pains. If a patient has a fractured or dislodged filling that is broken or potentially lost, this could cause discomfort to the patient or even pain as a result of jagged edges. If the filling is located in a visible area of the mouth, there can be associated aesthetical concerns. 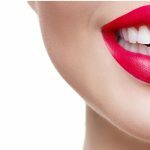 Patients need to ensure they do not apply pressure around the concerned area, as this could cause cuts to develop on the tongue. Loss of a filling can sometimes cause irritation to the inside of the cheek, this could lead to an ulcer in some cases. Sharp edges can be easily addressed by smoothening or levelling the filling or tooth edge. This can be easily achieved during the emergency appointment. Crowns can sometimes become loose or break due to a fracture, weak cement, decementation or excessive occlusal forces. They can also break due to non-retentive preparation or secondary caries. A loose or broken crown can cause risk of ingestion or potentially inhalation, although that’s less likely. A loose or broken crown can be addressed by immediate recementation or by fitting a replacement crown. Factors taken into account to make the decision include strength of the temporary crown to be placed alongside associated occlusal forces. A good occlusal check is therefore very important. The occlusion check needs to include static and functional occlusion as well as the possible presence of habits such as bruxism or clenching. We can assess an appropriate course of action following assessment during the emergency appointment. Dental trauma is often an injury on hard or soft tissues of the oral cavity. This includes the teeth and its surrounding tissues, tongue, lips, periodontium and also cheeks. The prognosis for the tooth gets worse the longer it remains out of the mouth. Dental Trauma can include conditions such as enamel / crown infraction, Enamel fracture, Crown / root fracture etc. Please visit our Whites Dental website at www.whitesdental.co.uk for more details about our emergency dentist near me service. Our experienced dentists will endeavour to assist with the dental emergency as quickly as we possibly can.